R. Stephen Warner (PhD Berkeley 1972) works in sociology of religion and is a past president of the Society for the Scientific Study of Religion and the Association for the Sociology of Religion, and past-chair of the ASA Religion Section. He is also the co-founder and program coordinator of CAGSRC, the Chicago-Area Group for the Study of Religious Communities and a member of the Congregational Studies Team. He has held Guggenheim, Institutes for Advanced Study and NEH Fellowships, and his research has been supported by the Lilly Endowment and the Pew Charitable Trusts. 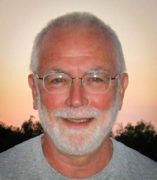 Among his publications are New Wine in Old Wineskins: Evangelicals and Liberals in a Small-Town Church (1989 SSSR Distinguished Book Award), "Work in Progress Toward a New Paradigm for the Sociological Study of Religion in the United States" (1994 SSSR Distinguished Article Award), and A Church of Our Own: Disestablishment and Diversity in American Religion (2005). He is co-editor of Gatherings in Diaspora: Religious Communities and New Immigration (1998) and Korean Americans and their Religious: Pilgrims and Missionaries From a Different Shore (2001). A report from the Youth and Religion Project under the working title, Navigating to Faith: Forming American Youth as Christians, Muslims, and Hindus (with Rhys H. Williams), is in progress. Warner’s 2007 presidential and address to the Society for the Scientific Study of Religion appears as "Singing and Solidarity" in the June 2008 issue of JSSR, the Journal for the Scientific Study of Religion. His current work includes a long-term project on "Race and Religion: U.S. vs. Europe," aspects of which appear as "Parameters of Paradigms: Toward a Specification of the U.S. Religious Market System" in the Nordic Journal of Religion and Society (Fall 2008), “The World Is Not Flat: Theorizing Religion in Comparative and Historical Context” (ARDA Guiding Paper Series 2011, http://www.thearda.com/rrh/papers/guidingpapers.asp), and “Race and Religion Beyond Protestant, Catholic and Jewish Whites ,” chapter 25 in The Oxford History of American Immigration and Ethnicity edited by Ronald H. Bayor; forthcoming.